Attention Exhibitors: Connect With Us! Marketplace Events is dedicated to helping our exhibiting companies excel on social media. If you have a new product launching, sale or promotion to announce, or an in-store event coming up, we want to hear about it and would love to share the information with our community on Facebook & Twitter. Send us a post via any social channel or email AndreeB@MarketplaceEvents.com and we’ll be sure to schedule a shout out for your company in our social calendar. There are many different channels available for you to connect with as an exhibitor at a Marketplace Events produced home show. 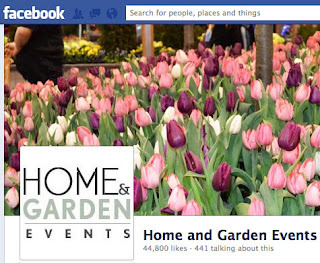 On Facebook, our community of home and garden enthusiasts across North America is currently 44k strong; and locally every market is active on Twitter. There are also many additional online promotional options available via our websites and email campaigns; should you be looking for a more comprehensive social strategy feel free to contact your sales consultant. Our social mantra is to share relevant content out to our audience. We know our exhibiting companies have excellent products and services making them valuable to our community. Great content is vital to us, and we love to feature exhibitors on our newly designed HomeandGardenBlog.com. Looking to REV up your social? We also have a team of motorcycle enthusiasts in California working on all things AIMExpo! Connect with them on Facebook and Twitter to let them know about your products or to find out more on participating in the motorcycle industry's first combined trade, consumer and media event in North America. We look forward to connecting with you and helping with your social marketing plans when taking part in our home shows! How to Close and Sales Training are some of the most important items on your priority list if you wish to be successful in Selling! The foundation in selling are very simple to follow and most will probably say, “Oh, I already know that” but selling has to have a solid foundation for long term success!